My friend, Lisa, from quilting, suggested that we stop by a deli called Zabar's if we were near Central Park so we decided to take her recommendation and stop by "the best deli ever" to pick up some lunch to eat in the park. "We" checked the map. . .
And hopped on the subway to 79th street. 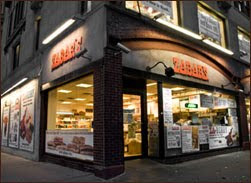 Little did we know that Zabar's is almost as big as Central Park! First there is the Cheese "Section". . .
and the next section where you can get Strudel and Knishes along with the deli counter where we picked up a couple of sandwiches and some chicken. and then there is another bakery section where we picked up some chocolate crossaints because my friend had told us to try them. After the bakery section is a section of coffees, teas and liquors. We collected all our goodies and checked out then walked the few blocks to Central Park and had a grand picnic without a blanket or picnic table to sit on. a couple lemon pepper chicken breasts, Buffalo wings, tortellini salad with sun dried tomatoes, a rice salad, a collard green salad which we thought was spinach, a spinach and feta Spana Kopeta, sour pickels and half sour pickels. Sadly both pickles were disappointing - Not crunchy enough for my taste and I prefer some dill in my pickles. Everything else though was fabulous! And then there was dessert - Apple Strudle, Chocolate Crossaint and these babies. . . I can't remember what they were called but I can remember they were delicious. And why is there no picture of the chocolate crossaint? Well, lets just say they were more than fabulous! After stuffing ourselves silly we relaxed and watched the walkers, bikers, skaters and picnicers before heading off to the "much maligned #7" subway train and Flushing Meadows for the US Open. Looks like you all had a lot of fun! 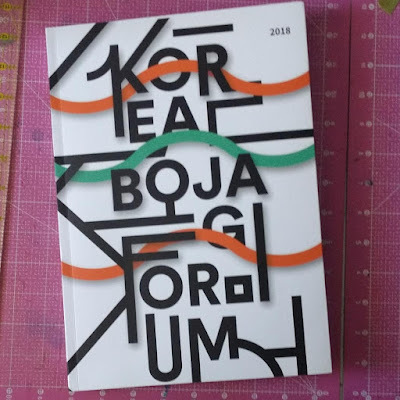 It makes me want to plan a trip back there. The food looks amazing! I almost wanted to lick the screen - maybe if the chocolate croissants were pictured I might have. My only question is: did you really go? Because there are no pictures of you. Was this on purpose? Hmmm . . . The little pastries are Rugalach, another Jewish delicacy! I forgot to tell you to have a mushroom knish, though. Well, you can have it next time. And their lobster salad... Glad you enjoyed the day! What a nice report of your visit to Zabar's. Glad you enjoyed your picnic lunch! Visit again when you're back in NYC.